How the ancient Greeks were able to use trigonometry to build the first aqueduct, tunnelling from two sides of a mountain to meet in the middle. The Island of Samos lies at the edge of the Mediterranean Sea. And it is home to one of the most impressive examples of practical geometry that survives from the ancient world. 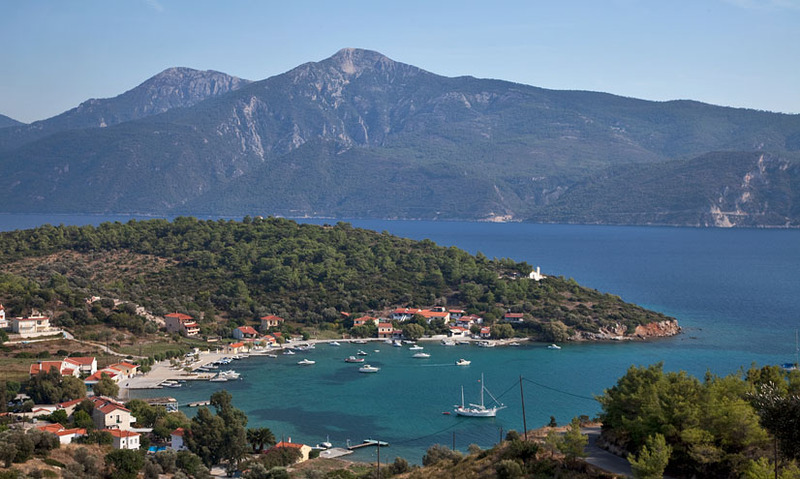 In the 6th century BC, Samos was home to the ancient Greeks, under the rule of the tyrant Polycrates. The island's only supply of fresh water was an inland spring, far away from the coastal city. Polycrates enlisted the engineer Eupalinos to provide the city with a fresh water supply. By creating an aqueduct that connected the two. The mountain of Samos stood between the two, meaning that the aqueduct would have to run directly through the mountain. To complete the aqueduct quickly, they had to tunnel from both sides, meeting in the centre. But without modern engineering tools like lasers and GPS, the odds that the tunnels would meet were slim. Eupalinos would have had to use geometry. Using right angles, he could have measured from one tunnel to the other around the perimeter of the mountain, using ancient tools to maintain a constant elevation above sea level. In order for the tunnels to meet, Eupalinos had to ensure that the angle (a) was exactly the same as angle (b). Using the net distance they had travelled around the mountain, Eupalinos would have been able to figure out the dimensions of a theoretical triangle between the entrances. And he could construct smaller, similar triangles at both sides of the mountain, to accurately measure these angles. 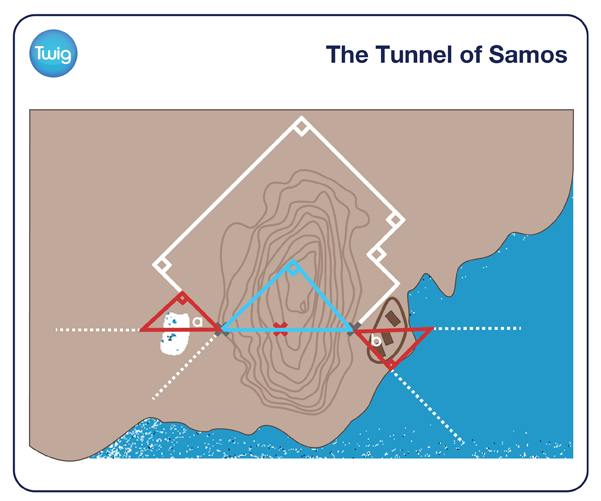 With only the most basic rules of geometry to guide them, the labourers of Samos tunnelled through the mountain. They successfully met in the middle of the mountain, and fresh water soon flowed to the city. The Eupalinian aqueduct was the first tunnel in history to be excavated from two opposite sides using geometry. More than 2500 years later Eupalinos' masterpiece still stands, a testament to ancient engineering.